How do I get my license back after a DUI? - Answer from MyDuiAttorney. Home › Questions › How do I get my license back after a DUI? If you have had your driver’s license suspended or revoked after a DUI or DWI conviction, you need to know the steps to take to have your right to drive restored. You probably have a lot of questions about the process and how long you have to wait. There’s no one answer since every state does it a little differently, but here’s a guide to help you understand how to make it happen. 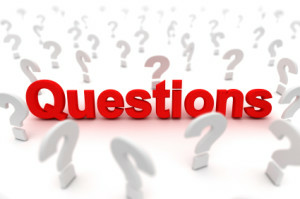 If you have questions, consult an experienced DUI attorney. He or she can help you learn how to deal with your specific situation. Many will handle the criminal case as well as the administrative hearings regarding your driver’s license. Birmingham Driver License Office: 908 Bankhead Highway W.
Huntsville Driver License Office: 1115-A Church St. N.W. Jacksonville Driver License Office: 1703 Pelham Road S.
Montgomery Department of Public Safety Annex: 301 South Ripley St.
Opelika Driver License Office: 611 S. Railroad Ave.
Sheffield Driver License Office: 4500 Hatch Blvd. Tuscaloosa Driver License Office: 2645 Skyland Blvd. The fees for reinstatement or suspended of revoked driver’s licenses depends on the number of past DUI convictions and whether another violation was involved. When you pay with a check, your name and address must be pre-printed on it. If your license was revoked, you will need to reapply for a new license after your penalty time has passed and fees have been paid. After you have completed the term of your suspension, you can pay a reinstatement fee of $10 online with a credit card, or go to your local MVD office to pay the fee in person. You must also file a SR-22 certificate – which can be provided by your car insurance company -- with the MVD. If you license has been revoked, the MVD will need to investigate your driving record before you can apply for a new license. To start this investigation, call the MVD and provide them with your full name, date of birth, and driver license number. You will need to provide the investigation a current evaluation by a licensed physician, psychologist, or certified substance abuse counselor regarding your ability to safely drive. For revocations, the fee is $20.00. There may be additional fees associated with reinstating your driver’s license if you also had other violations. The court decides when you can apply to reinstate your license. Then you will have to pay for special liability insurance, fines, lawyers, and reinstatement fee of $150. You must have satisfied all reinstatement requirements as provided by the court. On the Arkansas Department of Finance and Administration’s website, you can find a form for submitting payment. You must complete your mandatory suspension period and your prison sentence if applicable. You must also complete a DUI treatment program and file the Notice of Completion certificate. Then make an appointment at the DMV where you can pay your reissue fee and file proof of financial responsibility (California Insurance Proof Certificate, SR 22.) You must also pay any fines to the court that you owe. When your license is suspended, you will be informed of the end date at the hearing or via mail. On the date of reinstatement, you need to show proof of insurance and pay a $95 fee at the DMV, or you can send the required information and fee via mail 4 to 6 weeks before the end of your suspension. Remember, don’t drive until you actually receive your new reinstated license even if your date has passed. If your license is revoked, you must take the written and driving exams against. After multiple revocations due to alcohol-related offenses, you may be restricted to driving with an ignition interlock device. For more information about suspensions, read Colorado’s brochure on points and suspensions. The specific requirements for reinstating your license will depend on your case. During your hearing, the court will explain what steps you will need to take. Since the law is confusing, many people hire DUI lawyers to help them through the process. If you are a first-time offender, you may be eligible to apply for a conditional license under the First Offense Election Program, and you can be driving legally within 90 days of the revocation. Through this program, you can also apply for full license reinstatement after 6 months. You must also complete alcohol education, an evaluation, and pay a reinstatement fee of $143.75. You will also have to retake the driver’s license tests, such as the eye screening, written test, and road test. To reinstate your license, you must complete a DUI program and might have to install an ignition interlock device on your car for 6 months to over 2 years. You may be able to have a suspended license reinstated earlier for hardship purposes. If you license has been suspended, you may be able to get a restricted license. The best way to determine if this is the case for you is to contact a DUI attorney. After your suspension ends, you must complete a DDS-approved Drug Use Risk Reduction program and pay fines related to your case. Then you must apply in person at a DDS Customer Service Center that offers reinstatements services. Not all locations do, so you should call in advance to confirm. Alternately, you can request reinstatement in writing by mailing Department of Driver Services, P.O. Box 80447, Conyers, GA 30013. Include your full name, driver’s license number, date of birth, mailing address, and signature. When your license is suspended, you must immediately surrender it to a license examiner or District Court. After the suspension period passes, it will be reinstated and mailed back to you. Some people may be eligible for a condition license before their suspension is over, but only if you provide proof that losing your license will put your job in jeopardy and that no alternative transportation is available. After the period of time for your suspension or revocation has passed, you must reapply for a license with ITD in Boise and pay a $285 reinstatement fee. Additionally, you must provide proof that you can cover financial obligations you incur if an accident occurs. You may also apply for a restricted permit before your suspension or revocation period passes. There is an additional $35 fee, and you must apply for a special permit from the court that convicted you. In order to apply for reinstatement, the period of suspension or revocation must be completed. Then you need to contact a hearing officer and complete an alcohol/drug evaluation by a Division of Alcoholism and Substance Abuse licensed provider within the 6 months before your hearing date. If this is your first offense, you will have an informal hearing. If the offense involved a fatality or you’ve had multiple DUI convictions, you will have a formal hearing. You must provide proof of financial responsibility, complete BAIID requirements, and pay a reinstatement fee. You may also have to take a full or partial driver’s license exam. If you license was revoked, you need to pay for the fee to apply for a new license as well. Under certain circumstances, you may be eligible for a restricted driving permit, before you suspension period is complete. For information specific to your situation, contact a DUI lawyer and check out this brochure from the State of Illinois. There are 8 reinstatement branches of the DMV in Indiana. You must wait until you have completed your suspension and other punishments to apply. Under certain circumstances, you may be eligible for a hardship license before you suspension period is complete. You must show proof of financial responsibility by filing an insurance SR-22 form with the Office of Driver Services. You must also the knowledge test, driving exam, and vision screening. A license revocation will stay on your record for 12 years. You must apply for a new license and pass the first-time driver tests and pay all relevant fees and fines. Then the driver’s license that was surrendered to the court is returned to you. Your licnese number stays the same. Kansas does not grant hardship licenses, so if you license is suspended, you must wait until the end of the suspension to drive again. Once you are able to reinstate your license, you need to pay a $40 reinstatement fee to your local driver licensing field office or Circuit Court Clerk’s office. Checks should be made payable to the Kentucky State Treasurer. Under certain circumstances, you may be eligible for a hardship license before you suspension period is complete. Once you’ve completed your license suspension, you must visit your local Motor Vehicle Reinstatement office or call 877-368-5463 to reach the DMV line. You can pay via money order, cashier’s check, certified check, credit or debit card if paid by telephone, and cash if paid in person. If you go in person, your reinstatement is processed immediately. If you choose to do it by the phone or mail, allow 10 days from the day your payment is received. In order to reinstate, you must wait until your period of suspension has passed. Then you can apply at the BMV. You will be charged a reinstatement fee for each offense. In some situations, you may be eligible for a work-restricted license before your suspension is over. If you are eligible, you will be given a hearing by phone or in person. If your license is revoked, you must attend an Alcohol Education Program before applying for a new license, and you may required to complete a treatment program as well. If your license is suspended, you must wait until the suspension period is over, then you re-apply for a new license. 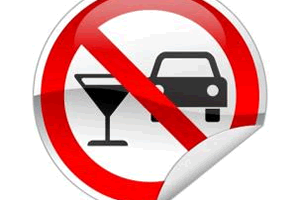 You may have an alcohol restriction on your license, which may require you to use an ignition interlock device. In order to get this restriction remove, you need to contact the MVA Administrative Adjudication Division. After your suspension period, you might have to appear for a hearing at the Boston RMV office. Call 617-351-7200 to find out if this is the case for you. You will also need to pay a reinstatement fee of $100. You may be eligible for a restricted license before your suspensions period is over if you meet certain requirements. These are issues on a case-by-case basis. A general reinstatement costs $125, and reinstatement for a drug crime costs $250. When your license is suspended, the Department of Public Safety will send you a notice of withdrawal which lists the requirements to have your license reinstated. It may be different for different cases. Once you have complied with the required penalties and punishments, you are eligible for reinstatement. You may be eligible for a restricted license before your suspension period has ended. For example, you might be allowed to drive to and from school, work, or a medical or chemical dependency treatment center, or to provide transportation for your children. Once it has been confirmed, your license will be reinstated. In some cases, you may be eligible for a hardship license before your suspension period is over. There’s a $150 filing fee. To learn more about the fees and requirement specific to your situation, visit the Missouri Department of Revenue website. You must complete a vision screening and road sign recognition tests. If you license has been revoked, you must also complete the written exam and driving skills test. For more information on reinstating your license, call 573-751-4600. After your suspension period ends, you will have to meet the specific requirements for your situation, which may include payments of all reinstatement fees; completion of court imposed treatment programs; providing proof of financial responsibility for three years, surrendering your old driver's license; passing driving exams; and installing an ignition interlock device. If you provide proof of completing a department-approved driver rehabilitation program, you can receive a 50% discount on your license reinstatement fee. All fees are paid to the county treasurer’s office from the county where you were convicted. You can pay with cash and checks. Some locations also accept credit card payments. In order to drive to and from work, you may be eligible for a probationary license. Submit an Application for Restricted Probationary License to find out, or contact a DUI lawyer. In order to have you license reinstated, you must complete all the terms of your agreement with the state. Then you can apply for a new driver’s license at a driving examining office. Be prepared to provide identification to confirm your Social Security number, birth date, and full name. You will have to pass the vision screen, written exam, and driving test. Some people are eligible for special permits before their suspension period is completed. Contact the Financial Responsibility Division of the Nebraska Department of Motor Vehicles at 402-471-3985 to find out if you qualify. The DMV will tell you the end date for your suspension. This is the date when you can begin reinstatement procedures. To find out the specific requirements for your case, call, write, or email including your name, driver’s license number, and Social Security number. Depending on your situation, you may need to pay fines, complete Driver Improvemnet Training, and complete Drug or Alcohol Rehabiliation before you are eligible for reinstatement. You will also likely need to provide proof of insurance with a SR-22 form. If you are classified as a habitual offender, you need to be de-certified before your license is restored. This state does not offer hardship licenses. Reinstatements are handled by the Bureau of Financial Responsibility. If this is your first DUI offense with a BAC of .1 or more, you will need to serve your suspension time and prison time, if applicable. Then you must pay all required fines and fees and complete classes at an Intoxicated Driver Resource Center. Once this is done, you will receive a Notice of Restoration in the mail. You must pay a $100 restoration fee online or at a MVC location and follow normal license renewal procedures. You may be eligible for a limited license before your suspension or revocation period ends, in order to drive to and from work or court-ordered treatment programs. The cost is $45. Submit an application for reinstatement after your license suspension period is completed. You must complete an approved driver improvement course within 90 days before the application for reinstatement is sent. And you must also complete the written driver’s test exam and the vision test. To reinstate your license for a first-time DUI offense, you must serve your suspension period and/or prison sentence, pay a $50 suspension termination fee and Driver Responsibility Assessment. Then go to your local DMV office to apply for reinstatement. For other situations, talk to your DUI lawyers to find out the specifics of your case. The only way you may be eligible for a restricted license before you suspension period is over is if you enroll in the Drinking Driver Program. Each suspension comes with different fines and penalties, but here is the general procedure for DWI cases. You must serve your suspension period, provide proof of enrollment in an alcohol safety school if necessary, and pay all court fees and fines. Then go to your local DMV office to reapply for your license. It will cost a $75 reinstatement fee. After your suspension period is over, your license is automatically renewed after you pay the $100 reinstatement fee. If your license was revoked, you will have to pass the same written and road exams that a first-time driver goes through. Also, if you have been arrested 4 times or more for a DUI, you need to provide proof that you participated in the mandatory alcohol treatment programs. The reinstatement fee for an OVI arrest is currently $475. You must provide proof of identity, residency, and your Social Security number. If driving school was required, you will need to provide proof of completion. Reinstatement documents and fees need to be submitted in person at an Ohio Bureau of Motor Vehicles Regional Service Center. They are located in Canton, Cincinnati, Cleveland, Columbus, Jackson, Toledo, and Youngstown. After a suspension, you must pay the applicable fees, and you may have to purchase liability insurance. You should get a letter from the Department of Public Safety after your arrest explain the amount of your reinstatement fee, the date you are eligible to have your license reinstated, and instructions to obtain an alcohol/drug assessment. This evaluation must be performed by a counseling professional that is certified by the Department of Mental Health and Substance Abuse Services. When you complete all requirements, submit the proof of completion to the Assesssor, who will give you a Certificate of Completion. This Certificate must be submitted in person or mail along with the reinstatement fee in money order payable to the Department of Public Safety. Reinstatement for revocations is handled on a case-by-case basis. Your best bet is to get a DUI attorney to walk through the process for your specific situation. For most cases, you just need to provide proof of identification and pay all applicable fines and fees in order to have your license reinstated once your suspension period is completed. However, some cases are different, so you should always consult PennDOT to get a specific Restoration Requirement letter. 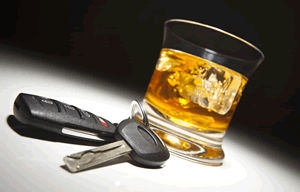 A DUI lawyer can also provide additional guidance. The number for PennDOT is 800-932-4600. After your suspension, a hearing officer with Operator Control must deem you safe to resume driving. If he or she does, then you can visit a DMV with your reinstatement notice, a form of ID, your Social Security card, proof of your address, and payment of the $351.50 reinstatement fee via check or credit card. For reinstatement, you must pay the fee of $100, obtain WR-22 insurance for 36 months, and complete an Alcohol and Drug Safety Awareness Program. You may also need to take driving tests, including the written test which costs $20. Visit your local DMV or go online to pay your fees. In order to be eligible for a provisional license before your suspension is up, you must enroll in an alcohol treatment program, have no other suspensions, and purchase SR-22 insurance for your car. The provisional licenses cost $100. To find out if you are eligible, call 803-896-5000. For reinstatement after license suspension or revocation, you must go to an exam station and pay the reinstatement fee (between $50 and $200) as well as application fees. If you license was just suspended, you don’t need to take the test. However, if it was revoked, you need to take the vision, knowledge, and possible the driving test, depending on your situation. Some drivers are eligible for restricted driver’s licenses. Call 800-952-3696 to find out more. You should receive a list of requirements to have your license reinstated. If not, contact the Tennessee Department of Safety to find out. You may be eligible for a restricted license to drive to and from work or school. Contact the DOS to see if you qualify. Be sure to include your full name, date of birth, and driver’s license number. You will also need to get and submit proof of insurance (form SR-22) to the DPS. If you were ordered to complete a repeat offender’s DWUI education program, you must send the certificate of completion to the DPS before your suspension period ends. You must pay all court-imposed fines and a reinstatement fee of $50 as well as an administrative fee of $150. Forms for reinstatement are available at driver’s license field offices. In your compliance summary, you will find telephone numbers for the courts you should contact to find out how much you owe the courts in unpaid fines and court costs. If you don’t have a compliance summary, you can complete a free Compliance Summary Request from the DMV. Fees owed to the CMV must be paid by credit card, or check or money order made out to DMV. You may also need to file an SR-22 certificate of insurance. You may be eligible for a restricted license before your suspension is over, but you must provide written justification as to why you need it. You can learn more about this on the DMV page. If you have questions about your situation, it is best to contact a DUI attorney. To handle suspension or revocation reinstatements, you should contact the Capitol Complex office in Charleston, WV or the DMV at 304-558-3900. Depending on your specific case, the requirements differ. Your best option is to contact a DUI lawyer to work with you. You may also need to provide proof of insurance. If you still have your license, you should call the DMV to ensure they received your $50. If so, you can legally drive again. If you do not current have your license in your possession, you need to visit your local DMV service center to complete a Driver’s License Application for renewal, show ID with a photo and signature, and pay the $50 reinstatement fee as well as a $4 for a duplicate or $24 for renewal. You’ll also need to file the SR22 proof of insurance if required. The fee for reinstatement if $50. Also, the suspension period must have ended, and you cannot have any additional suspendable offenses pending. If you are required to file an SR-22 insurance form, you must do that through your insurance company. You can pay the fee in person at your local driver exam office. You can also pay by mail to WYDOT-Driver Services, 5300 Bishop Blvd., Cheyenne, WY 82009-3340. The check must include your full name and driver license number and/or date of birth) Or you can do so via credit card by phone: 307-777-4810.